How to Get 3 Stars on Style Me Girl Level 29, "World Tour," Without Using Any Cash Items! | I Style Me Girl! How to Get 3 Stars on Style Me Girl Level 29, "World Tour," Without Using Any Cash Items! Going by the comments on my earlier post, quite a few are still having trouble with Style Me Girl Level 29 "World Tour." This in combination with the fact that the game itself updated since that post, inspired me to get this new method for passing & getting three stars Style Me Girl Level 29, "World Tour," up and posted! If you would like to get 3 stars on Style Me Girl Level 29, "World Tour," without using any cash items, keep reading! 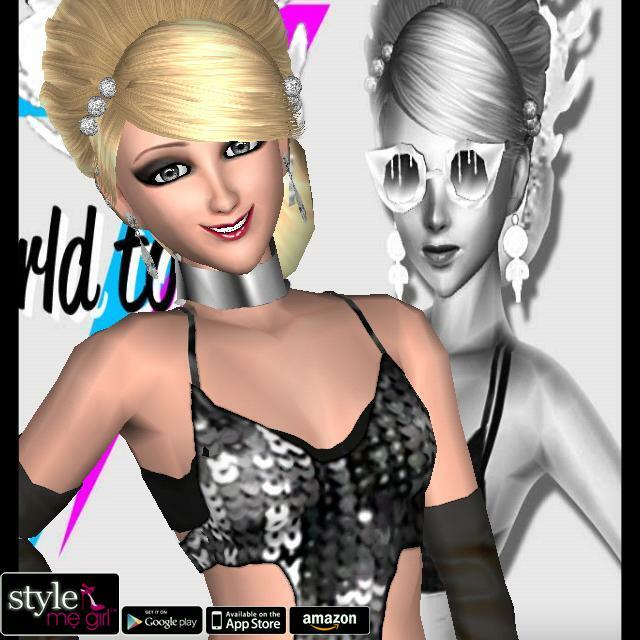 The items needed to earn 3 stars on Style Me Girl Level 29, "World Tour," are pictured and described in the list below. The "Closet Items," screen capture image at right can be clicked to enlarge if you'd like a more detailed view. The hairstyle isn't the models own, it doesn't have all the things is it on the actual hairstyle, other than being confused from that it was good!